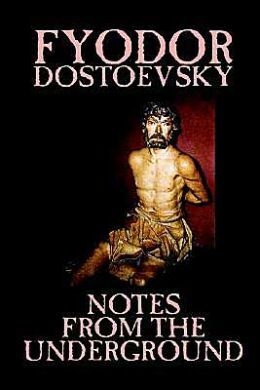 Exploring themes of free will versus determinism, Dostoyevsky’s existential exploration was written to challenge increasingly popular Western egoist philosophies. In the Underground Man, he found the embodiment of the antihero, whose behavior—like all human behavior—defies rationalization. Amazon Classics brings you timeless works from the masters of storytelling. Ideal for anyone who wants to read a great work for the first time or rediscover an old favorite, these new editions open the door to literature’s most unforgettable characters and beloved worlds. 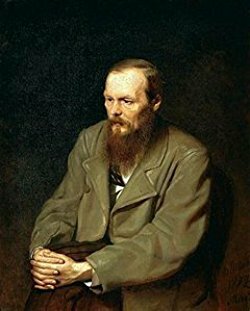 Fyodor Mikhailovich Dostoyevsky (11 November 1821 – 9 February 1881), sometimes transliterated Dostoevsky, was a Russian novelist, short story writer, essayist, journalist and philosopher. Dostoyevsky's literary works explore human psychology in the troubled political, social, and spiritual atmosphere of 19th-century Russia. Many of his works are marked by a preoccupation with Christianity, explored through the prism of the individual confronted with life's hardships and beauty. This guy sits alone and decides to write down all his vents and vexations against every one and every thing under the sun. I actually laughed at his ramblings, and nodded in agreement as I found it ironic to be happening still today. I even became baffled at one point by what exactly his problem was. Still I was pretty enthralled. For being written in the 1860's, I was amazed at how drawn into the writing I was. It may not be the most magical read I have ever read, but it was so far from what I usually read. Still, I am glad to have read it. **Compensation may be earned from the links within. This copy was obtained free on Amazon. Opinions are owned from Freda's Voice. Just read this for my lit course. It is quite special I found. My first thought was, if you are not depressed before, you will be once you read this! However, it has so many layers and maybe one has to understand the times in which it was written. Sometimes I just wanted to shake the man and scream: "Snap out of it!" Would not have helped of course. I have read Crime and Punishment and loved it. Will someday go for The Idiot and The Karamazov Brothers.